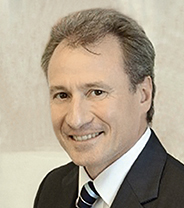 Federico Galizia is the Chief Risk Officer of the Inter-American Development Bank. He leads the Office of Risk Management, with the responsibility for overseeing and maintaining the Bank’s capacity to identify, measure, and manage financial and operational risk. Prior to joining the Bank, Mr. Galizia served as Head of Risk and Portfolio Management and Chairman of the Investment and Risk Committee at the European Investment Fund (EIF). Before that, he was Deputy Division Chief in the Monetary and Capital Markets Department of the International Monetary Fund (IMF) and Adviser to the President of the European Investment Bank (EIB). Mr. Galizia holds a Ph.D. in Economics from Yale University, and has published and taught MBA courses in the fields of risk management and corporate finance. He is the editor of Managing Systemic Exposure: A risk management framework for SIFIs and their markets, published by Risk.